Mgr. art. Juraj Korec graduated from The Academy of Performing Arts in Bratislava. After obtaining his master’s degree in Pedagogy of modern dance (2002) he worked as a performer, choreographer and dance teacher in many European dance theaters. Throughout his artistic carrier he received many international awards. By completing the certified program of ROLFING® method provided by European Rolfing Association e.V. in Munich, he became the first certified rolfer™ in Slovakia. In 2013-2014 he studied movement with French somatic expert Hubert Godard. Furthermore, Juraj Korec is continuously studying visceral and neural manipulation, new somatic approaches and is making his doctorate about A Dance Performance at The Academy of Performing Arts in Bratislava. Certified Rolfer™ is a therapist who is trained to understand the relationships between the muscles, connective tissue and bones in the concept of the whole body structure in interaction with gravity. 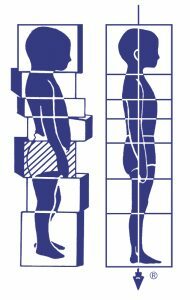 The depth and scope of the Rolfing Certification Program assures clients that a Rolfer is a well-trained professional who has the necessary knowledge, sensitivity and skills to respond to the clients’ needs.